WASHINGTON, DC, May 2, 2013 (ENS) – Multiple factors are responsible for the steep decline in honey bees across the United States, including parasites and disease, genetics, poor nutrition and pesticide exposure, federal government officials reported today, releasing a new scientific consensus on honey bee health. The U.S. Department of Agriculture and the U.S. Environmental Protection Agency officials said the report summarizes the conclusions of the National Stakeholders Conference on Honey Bee Health last October. Led by federal researchers and managers, the meeting included: beekeepers, scientists, advocacy groups, beekeeping supply manufacturers, commodity groups, pesticide producers, academics, and state and federal government representatives from the United States, Canada, and Europe. It was convened to survey the current state of knowledge about the primary factors that scientists believe have the greatest impact on managed bee health now that Colony Collapse Disorder has persisted since 2006. “Overall losses continue to be high and pose a serious threat to meeting the pollination service demands for several commercial crops,” states the meeting’s outcome report. “The decline in honey bee health is a complex problem caused by a combination of stressors, and at EPA we are committed to continuing our work with USDA, researchers, beekeepers, growers and the public to address this challenge,” said Acting EPA Administrator Bob Perciasepe. “Acute and sublethal effects of pesticides on honey bees have been increasingly documented, and are a primary concern,” the report states. Perciasepe said that EPA has new data requirements and new techniques and analysis for assessing sublethal effects on bees and colony health. An estimated one-third of all food and beverages consumed in the United States are made possible by pollination, mainly by honey bees. Across the country, pollination contributes to crop production worth $20-30 billion in agricultural production annually, but a decline in managed bee colonies puts great pressure on farmers and orchardists who rely on commercial pollination services. Zac Browning, a fourth generation commercial beekeeper from Jamestown, North Dakota, produces honey and provides crop pollination services in North Dakota, Idaho, Washington, and California. As a past president and current legislative committee member of the American Beekeeping Federation, he knows the condition of bees across the country. “We’re on the brink,” of failing to supply enough bees to meet the demand for pollinators, he told reporters on a conference call today introducing the report. While the European Union last week placed restrictions on three neonicotinoid insecticides harmful to bees after a European Food Safety Authority report identified “high acute risks” for bees in dust and pollen contaminated with these pesticides, Obama Administration officials are not considering pesticide restrictions. “We are conducting a national survey to identify honeybee pests that will guide our work with farmers and ranchers to incorporate honeybee habitat enhancements on their lands,” Ramaswamy said. Modern farming practices are making things difficult for pollinators, the report shows, especially when large and increasing swathes of farmland are being planted to corn, a crop that Browning says is of no benefit to honeybees. • The parasitic Varroa mite is recognized as the major factor underlying colony loss in the United States and other countries. 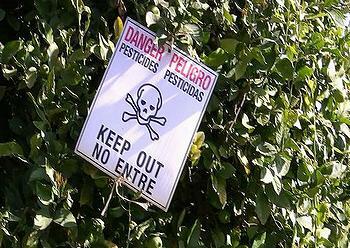 There is widespread resistance to the chemicals beekeepers use to control mites within the hive. New virus species have been found in the United States, several associated with Colony Collapse Disorder. • U.S. honeybee colonies need increased genetic diversity. Genetic variation improves bees’ ability to keep body temperature steady even if the surrounding environment is different, as well as disease resistance and worker productivity. • Honey bee breeding should emphasize traits such as hygienic behavior that confer improved resistance to Varroa mites and diseases such as American foulbrood. • Nutrition has a major impact on individual bee and colony longevity. 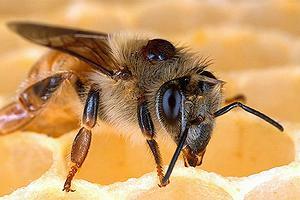 A nutrition-poor diet can make bees more susceptible to harm from disease and parasites. 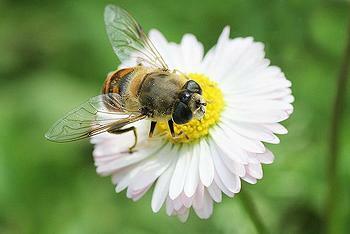 Bees need better forage and a variety of plants to support colony health. • Federal and state partners should consider actions affecting land management to maximize available nutritional forage to promote and enhance good bee health and to protect bees by keeping them away from pesticide-treated fields. • Best Management Practices associated with bees and pesticide use, exist, but are not widely or systematically followed by members of the crop-producing industry. There is a need for informed and coordinated communication between growers and beekeepers and effective collaboration between stakeholders on practices to protect bees from pesticides. • Beekeepers emphasized the need for accurate and timely bee kill incident reporting, monitoring, and enforcement. Those involved in developing the report include: USDA’s Office of Pest Management Policy, National Institute of Food and Agriculture, Agricultural Research Service, Animal and Plant Health Inspection Service, National Resource Conservation Service as well as the EPA and Pennsylvania State University. Please click here to view the report, which will inform the work of the USDA’s Colony Collapse Steering Committee.